Christmas is the day to remember Christ on his birthday. Friday, Cold and Rain, Water Temperature 46* and Clear. DP picked this hardy group up at Tim's Friday morning and took them out for an action packed trip fishing for Stripers. By the looks of the bellies of these fish it looks like the Stripers have been feeding well. We are finally catching fish in their winter patterns now and the fishing should only get better. 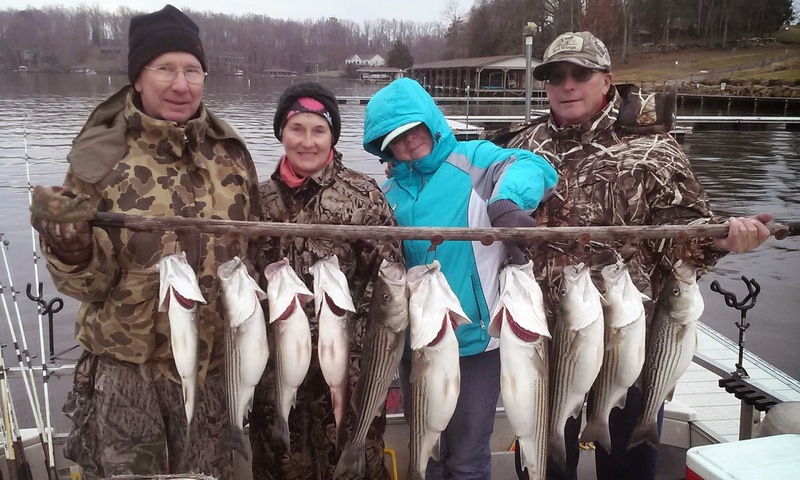 The recent rains have brought the lake up a little which will make fishing more reliable. Anthony caught this one out of the school of Stripers pictured above. Anthony [one of our guides] when not guiding would rather go fishing and catch 3 or 4 big fish than catch 30 or 40 smaller fish. He dreams about using big baits for big fish. He recently went fishing for a couple days in a row with a couple friends and they caught numerous fish up to 20 pounds. He was using some huge baits for this time of year and the bigger the bait the bigger the fish they caught. He is not looking for numerous hookups at once but in the pic below he had 4 teenagers hooked up at once. 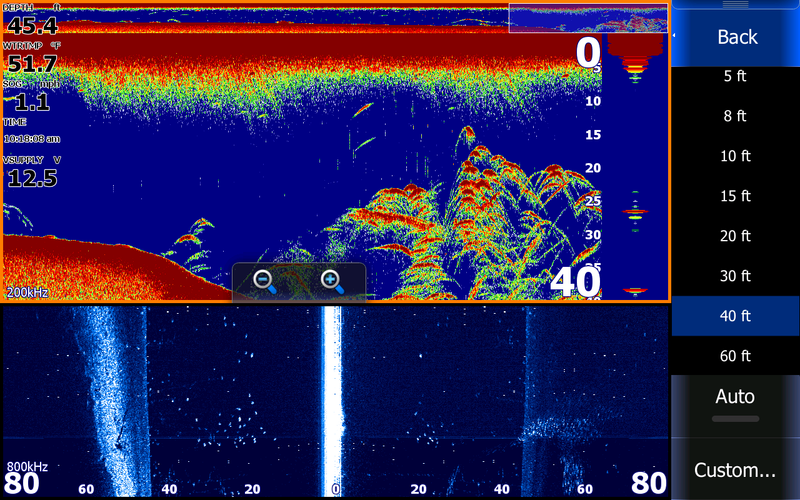 Notice the history bar above the sonar. Anthony had been over this school for quite awhile. 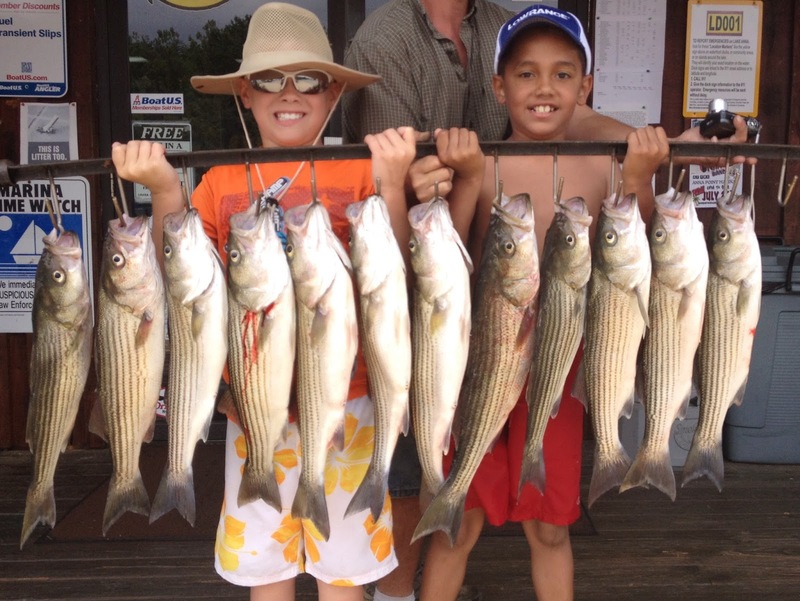 If you want to catch big Stripers, use Big baits, find Big fish and have Big success. 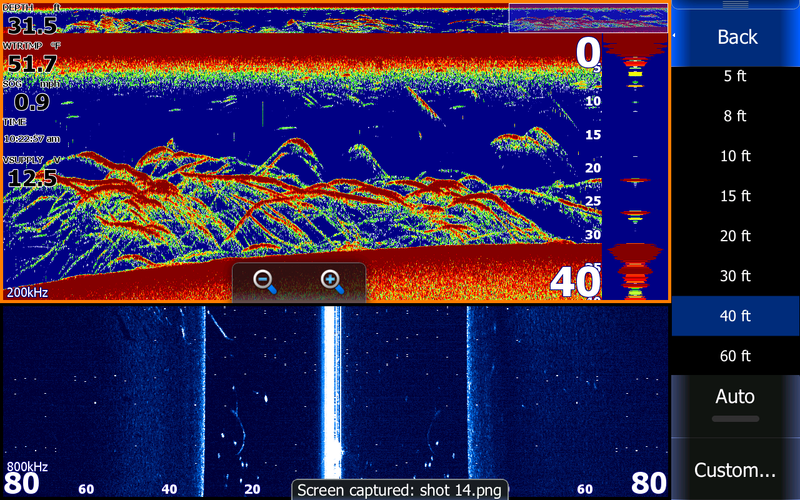 This beautiful screen shot was taken on a Lowrance HDS 12.